Recently, we worked with a publicly traded energy production company. This “C” corporation has annual revenues of approximately $140 million and is profitable. They know that their commercial insurance program covers them for most catastrophic events, but they also realize that they have a number of self-insured risks—risks not covered by third-party insurance, and wanted to know how they might be able to cover these. The energy company was making adjustments every year to reduce premium expenses while pushing for marginally broader coverage. Adjusting the caps on coverage amounts, deductibles, and exclusions at renewal to squeeze out additional value is an annual process. The company doesn’t buy all insurance available as they are large enough to self- insure several types of risk, and they work hard to grow the bottom line and continually look for proven ways to increase shareholder value. Forming the captive helped the energy company restructure its risk outlook. With the captive, they now had a new business segment with additional net profit budgeted to exceed $3 million over six years. They saw a reduction in annual third-party insurance premiums by eight percent. There was an anticipated distribution of the captive’s profits to the parent company at more favorable tax rates and the company could now be a recipient of a reinsurance payments on losses that otherwise would have been totally self-insured. 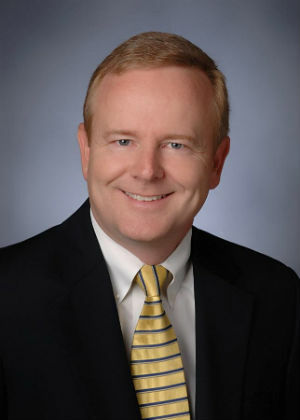 Lyons Companies is a risk management firm serving middle-market businesses on the east coast. 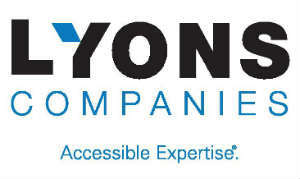 Founded in Wilmington, Delaware, in 1984, Lyons has more than 55 employees. The company’s philosophy is centered on relationship building, creating proactive solutions to reduce costs and improve profits through smart risk management. 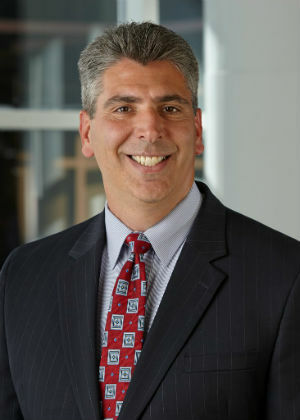 Joe Valerio, an executive vice president with Lyons, has been in the business for 17 years. At Lyons, Valerio works with clients in the non-profit and social services sector, construction, private schools and education, financial services firms, banks, and manufacturing. Valerio admits that the sales cycle on captives takes longer. “There is a lot of education involved. Most of our clients don’t necessarily think about captives because they haven’t hit that critical mass yet, he says. But when the time is right, he is glad to start the conversation, and often turns to Intuitive for help with specifics. Our client is an auto dealership group with multiple brand dealerships. Their operations have expanded steadily due to successful operations over the past 30 years. The group’s expansion has magnified risks in a number of ways. They’re now exposed to risks that are not currently insured in the third-party marketplace. The commercial insurance market is experiencing price increases and tightening capacity for perils such as directors & officers liability and environmental liability. Increased annual revenues have made the exposure to non-insured risks – like financial guarantees for floor plan – more pronounced. At the same time, new threats emerge regularly that require more coverage, including cyber liability and employment practices issues. The auto dealership group engaged Intuitive Captive Solutions to prepare a feasibility study to review their organizational structure, insurance program, loan documents, and personal guarantees. The study resulted in the identification and quantification of several new personal liability risks and adjustments to the existing commercial insurance program that offset the tightening insurance market conditions. Upon review of the study, the group instructed Intuitive Captive Solutions to form three new 831(b) captives – domestic private insurance companies – to insure selected property, casualty, and personal liability risks. Created a profit center to cover previously unfunded self-insured risk. Gave the owners peace of mind by broadening their insurance coverage. Offset premium dollars going to third-party insurers. Reduced current income tax obligations and created potential additional wealth for the owners and their families. Three new businesses with additional net profits were formed. The captives resulted in a reduction in current income taxes to the owners of more than $825,000, and also provide an anticipated distribution of the captives’ profits to owners at more favorable tax rates. The auto dealership group is already in receipt of a reinsurance payment on a loss that otherwise would have been totally self-insured. If we can help you with similar coverages through an 831(b) captive, please contact us. Our client is a real estate investment and property management company serving self-managed private equity funds and investment partners. Following a decade of no or minimal revenue growth, the multifamily industry appears to be in a healthy recovery phase. While they recover, the company is still impacted by capitalization rates that are being driven to historically low levels resulting from unsustainably low interest rates.The commercial insurance market is seeing price increases and tightening capacity for perils such as wind damage. Additionally, multifamily loan documents introduced in 2011 by Fannie Mae materially expand the risk of recourse exposure to borrowers and loan guarantors. The company is also exposed to additional personal liability risks, which have increased substantially. The client engaged Intuitive Captive Solutions (Intuitive) to prepare a feasibility study to review their organizational structure, insurance program, loan documents, and personal guarantees. The study resulted in the identification and quantification of several new personal liability risks and adjustments to the existing commercial insurance program that offset the tightening insurance market conditions. Upon review of the study, they instructed Intuitive to form a new 831(b) captive – a domestic private insurance company – to insure selected property, casualty, and personal liability risks. Now, the company has a new business with additional net profit budgeted to exceed $3 million over six years. Forming the captive created a reduction in current income taxes to the owners of nearly $475,000 and there is an anticipated distribution of the captive’s profits to its owners at more favorable tax rates. The company may also be a recipient of reinsurance payments on losses that otherwise would have been totally self-insured. Find out more about how we can help you restructure your risk in this changing market. Contact us. Many employers have trouble understanding the difference between a contract employee and a payroll employee. The definitions are outlined in this article, Form 1099-MISC & Independent Contractors published by the IRS, which opens by admitting how complex the issue is. Many employers think a 1099 employee is a part-time employee, or an employee who works occasionally or seasonally. In reality, the central difference between a 1099 and payroll employee is who controls how the worker performs his or her services. At stake for the employer is a good deal of savings on payroll fees and taxes if the employee can be classified as a contractor.At stake for the worker are important benefits and employment perks – such as worker’s compensation coverage. A class action lawsuit brought by roughly 4,029 installers and 949 installation companies argues that Lowe’s supplied the materials and the place of work for the installers, and that Lowe’s “had the right to control the performance of the installers’ work.” The workers who contract with Lowe’s charge that they are being miscategorized as contractors under California law – the suit was filed in U.S. District Court in Oakland. 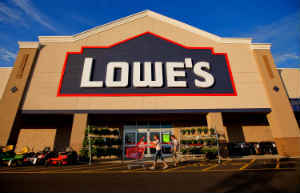 While Lowe’s strongly denies the allegations, they have offered a $6.5 million settlement. The IRS’s definition of contractors is, indeed, a head-scratcher, leaving all kinds of companies open to interpretation of their employment policies, and potentially to the type of suit that Lowe’s faced. This is not just a question for the contracting industry. Tech companies and big corporations have 1099 employees seated in assigned desks, working hours dictated by the company, in clear violation of the spirit of the IRS’s definition. On the other hand, there are plenty of companies who diligently establish corporate policies about the differences between payroll and contract employees who may be just as vulnerable. Companies that get stuck in a regulatory defense suit in an area this murky and grey might be forced to settle. Consider what might be at stake – legal fees, a class action settlement, and a fundamental shift in how your workforce is structured – and work with your legal team now to do the best possible job of achieving compliance, but back up your decisions with enough coverage to be able to withstand a suit if it were filed. Captive insurance was designed to meet challenges like this one. If we can help you structure a Captive, please contact us. Intuitive Captive Solutions, LLC, is looking for an Account Manager – Captive Insurance to work out of our Greenwood Village, Colorado office. The account manager will be responsible for new captive sales and existing account management, fostering long-term relationships with brokers and clients. If you’re a professional with commercial underwriting experience, knowledge of the captive industry, and a graduate business degree, we’d like to hear from you. Read the full job description. Read the full job description for additional information.